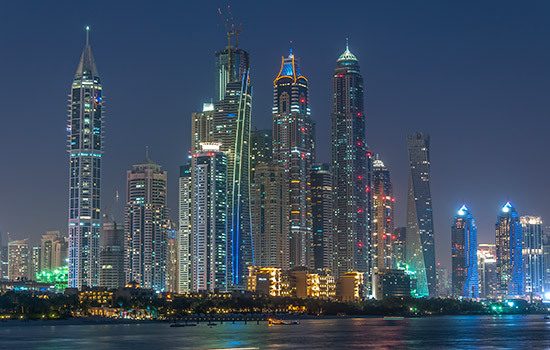 Darshan Hiranandani ’02, ’03 built 23 Marina, one of the world’s tallest residential buildings, far left, in Dubai, United Arab Emirates. Darshan Hiranandani was on the way to Egypt from India to vacation with his family when they stopped in Dubai, United Arab Emirates. 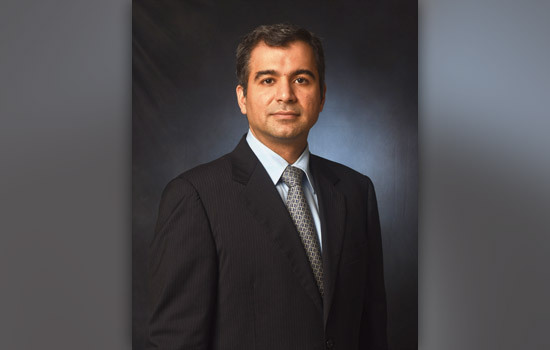 Hiranandani ’02, ’03 (management information systems, MBA) had earlier returned to Mumbai after graduation to work at Hiranandani Group, his family’s real estate business and India’s largest residential developer. In Dubai, they had dinner with friends, who encouraged the family to think about doing real estate there. And that’s how Hiranandani began building the world’s tallest residential building. The 90-story tower, which is more than four football fields tall, is called 23 Marina and is located at the entrance of Dubai Marina. The building, which includes 62 elevators and 52 swimming pools, was certified as the tallest residential building in 2012 by the Council on Tall Buildings and Urban Habitat. The story of Hiranandani, managing director of the Hiranandani Group as well as an RIT Trustee and RIT Dubai founding board member, is much richer than a towering building. His passion, he said, is energy. Through its subsidiary, H-Energy, the company is focused on distributing clean, affordable and safe natural gas. This includes creating infrastructure for gas distribution to replace kerosene. Hiranandani cites the company’s work creating residential townships in India as an example. In the early 1990s, Hiranandani’s father transformed barren land into neighborhoods with roads, schools, hospitals, homes, businesses and the infrastructure and greenery to support it all. Now Hiranandani has led an effort to take the concept one step further by becoming the utility provider for these townships. The company provides the power, water, internet, phone and cable in one utility bill. That innovative spirit is a hallmark of the company and of Hiranandani, who credits RIT for helping him learn how to go deep when problem solving and wide when analyzing the goal of a project.